While many of you were participating in Bike to Work Day, I was driving my car. As much as I love to ride my bike, I couldn't possibly have met my commitment to visit St. Bartholomew in Columbus, Indiana, on a bike. There are those who can. I had the great fortune a couple of years ago of meeting Dave Blase, an Arlington High School teacher, who was the inspiration for the main character in the film, Breaking Away. Blase told me when I met him that back in the early days of the Little 500, he'd ride from Indianapolis to Bloomington, watch the Little 5, then ride on back home. 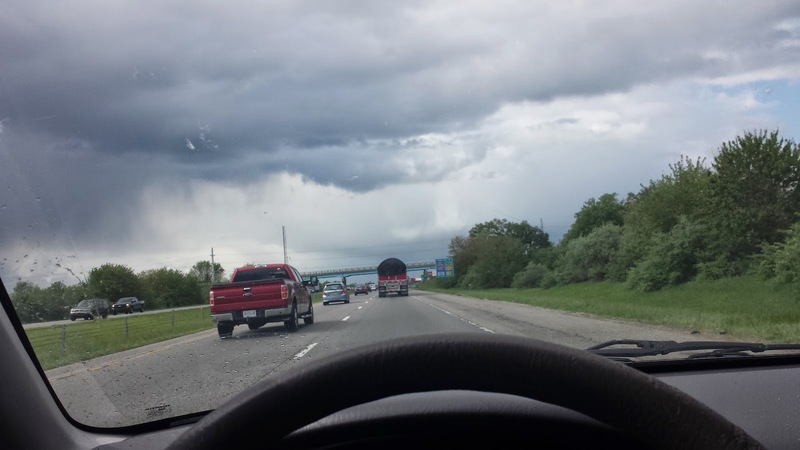 Headed north on 65, there was rain, hail and other weather frivolities. I was excited to meet this group of 8th graders, because I had witnessed a presentation of theirs at Orchard School, at an event that drew more than a half dozen Indiana schools together to show off their efforts at rescuing food waste. It's a complicated thing, as you know — especially if you are following my Climate Chronicles adventures. Kids don't want to throw food away, but often the rules at their schools don't give them any other option. I think of food waste as a climate disruption issue: food thrown away and deposited in landfills creates methane which is 25 times more powerful a greenhouse gas than CO2. But throwing food away is terrible idea for many reasons. For these principled, social justice-minded kids, it's an atrocity to waste food when so many are hungry. In fact, the name of their presentation at Orchard that evening was "Operation End Hunger" and this brilliant bunch is well on the way to solving an enormous, complicated puzzle when it comes to reducing food waste and depositing food waste responsibly. They will need our help to do so. More on that in a sec. 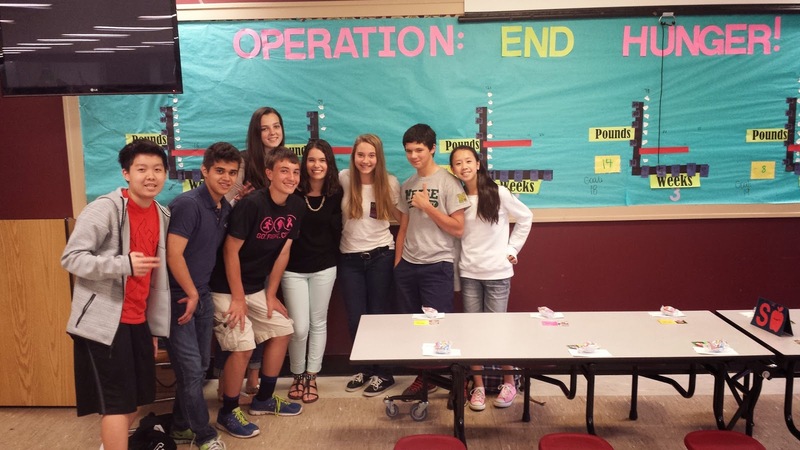 These St. Bartholomew 8th graders look proud, and they should be! Their display in the cafeteria is so large I had to photograph the right side of the display separately. 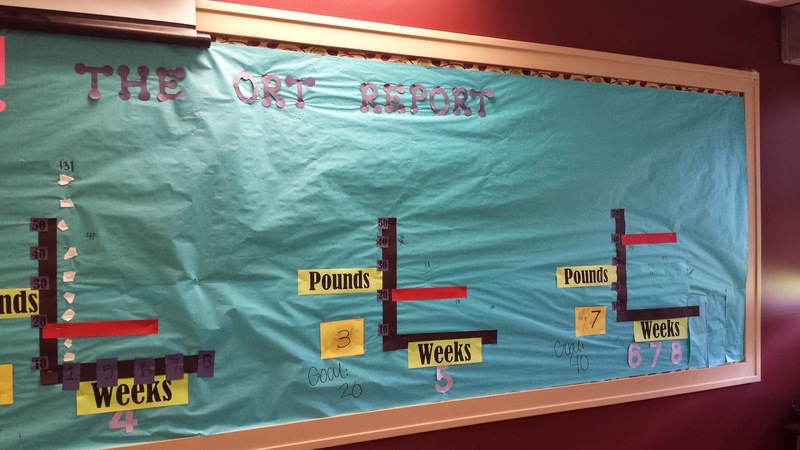 As you can see, the students created a massive graph that stretches across the wall in their cafeteria so their fellow students can see exactly how they're doing when it comes to food waste capture. That's the key, of course, to getting participation in a community. Create a system where everyone has a buy-in to the project, and display the successes and failures to meet the metrics proposed. This is a very STEM-like endeavor, for those of you who are wondering about that. Methinks these students, led by their wonderful, committed teacher, Bridget Steele, are exploring multiple school subjects in this endeavor, from math to science to social studies and more. In a project-based earning modality, to boot! 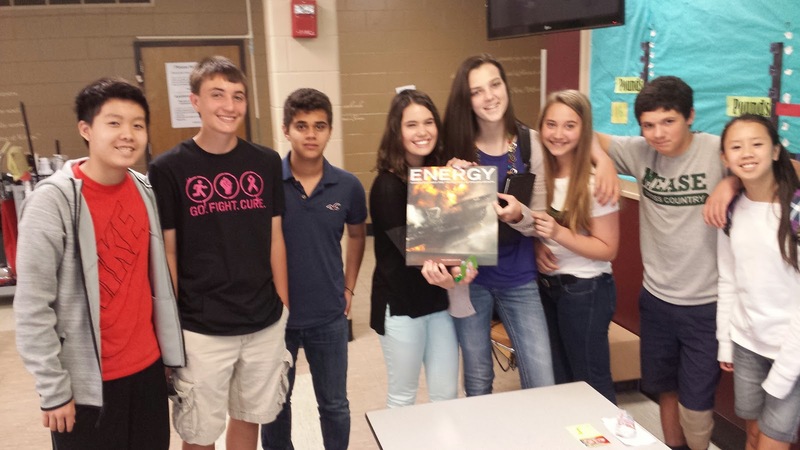 St. B students holding their Energy book I delivered, courtesy of the Post Carbon Institute. These students will soon have their full report of Operation End Hunger on our Youth Power Indiana site, but the truth is, they are in the data-collection stage of their "operation." The next phase of their effort will have to be how to responsibly dispose of what food they are collecting. Since they are moving on to high school, they'll have to hand this ambitious project on to the next generation (the current 7th graders). I have no doubt they will solve this in a systematic way, but they will need your help. Columbus friends, are there any ambitious composters among you? Can anyone help the students figure out where to take their food waste — for example, are there any local farmers receiving food waste? These days, it takes a village not so much to raise a child, but to support our youth in solving the mess we've made with our consume-and-waste habits. With students like these and teachers like Bridget, our village just got a whole lot stronger.